Today I’m sharing a super simple recipe that I have made hundreds of times. 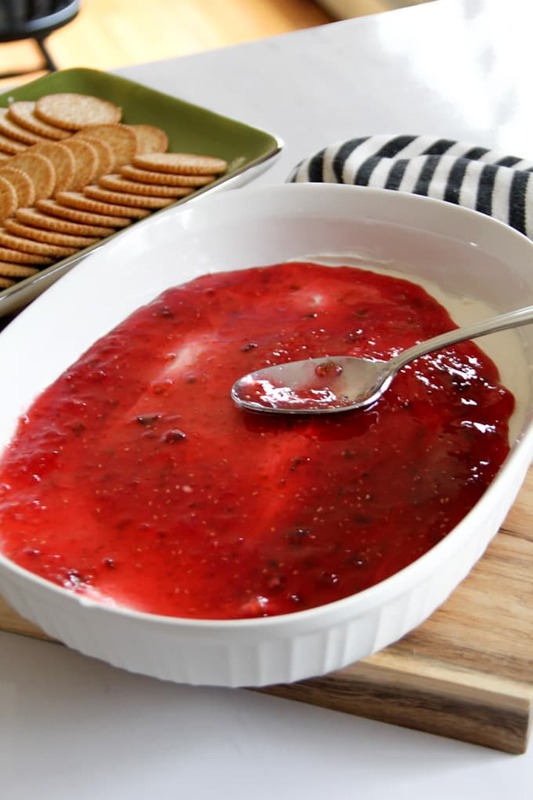 This cream cheese and pepper jelly dip takes less than five minutes to put together, and is a great snack for any party. It barely justifies being called a “recipe”, but I wanted to share it with you! 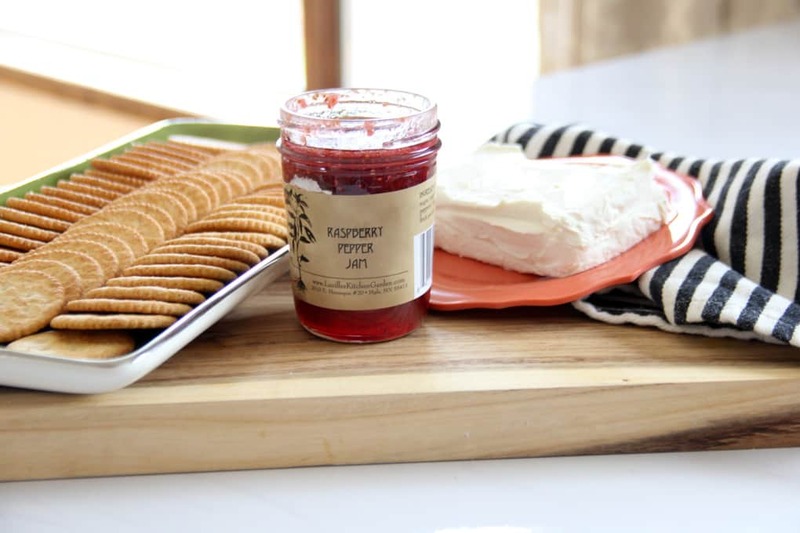 These three ingredients are pantry staples around here, and I always have crackers, a jar of pepper jelly, and a brick of cream cheese. 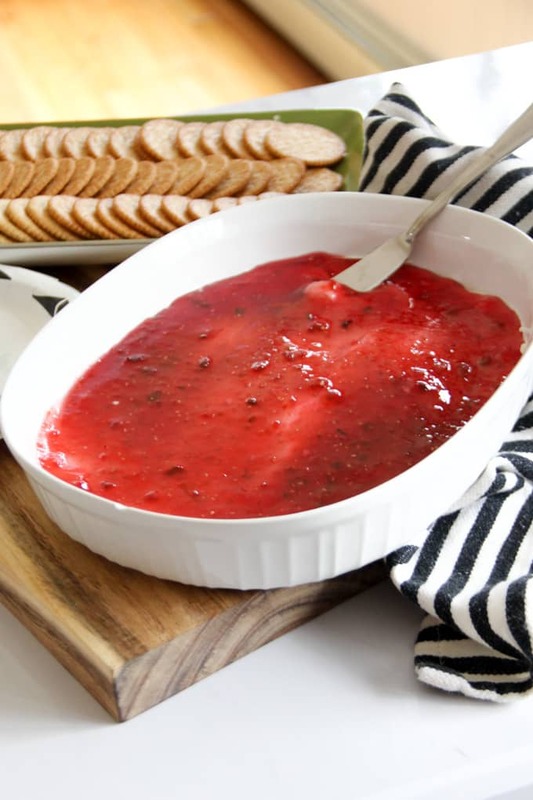 This particular pepper jelly was raspberry pepper jelly from a farmer’s market. Any pepper jelly will do though. Typically I buy the one at Target that’s less than $3. 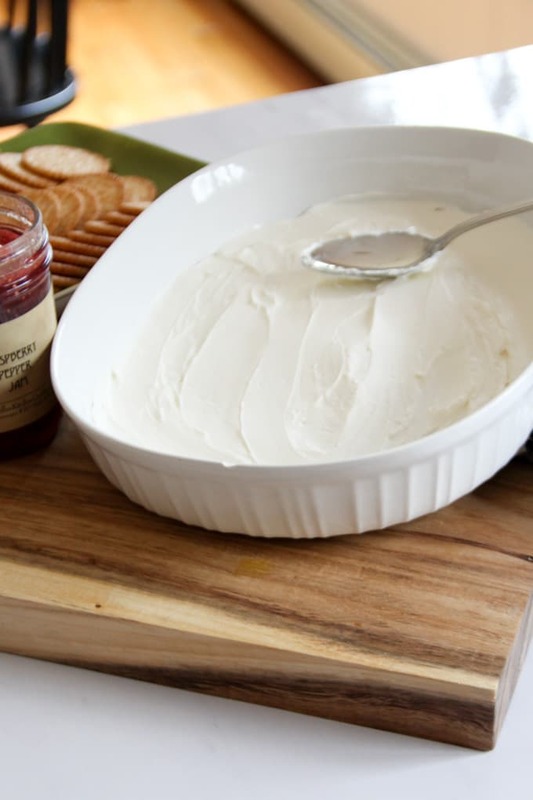 You start out by spreading cream cheese in the bottom of a serving dish with a spoon. 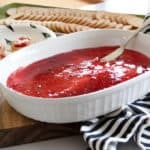 Then you just pour the jar of jelly over the cream cheese. That’s it! Seriously… easiest recipe ever. Then you serve it with a knife and some crackers. Sometimes having simple recipes like these in your back pocket can make or break you. 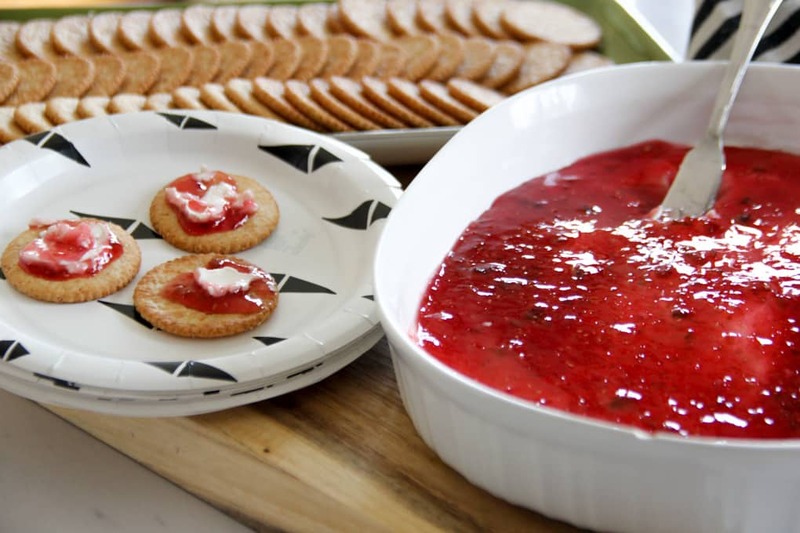 A few weeks ago when I needed a quick snack to bring to book club this recipe saved the day. 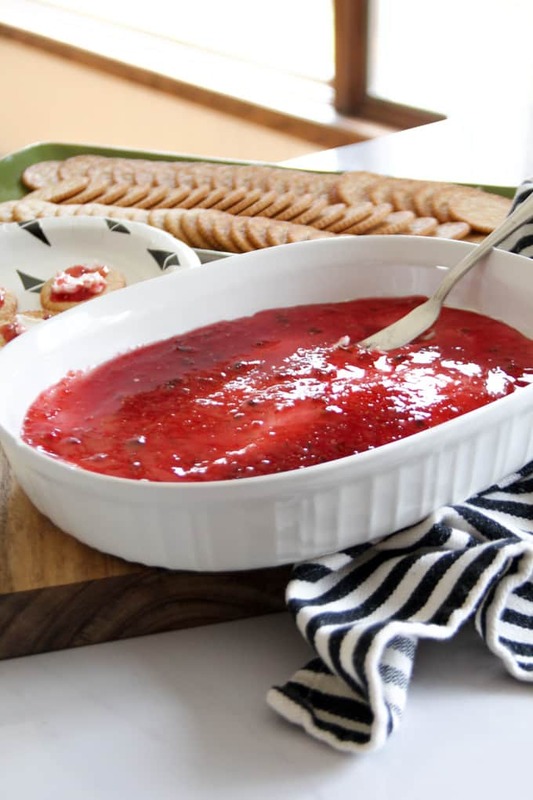 This is also a great Christmas appetizer for while you’re cooking your big meal. Thanks for stopping by today and have a Merry Christmas!